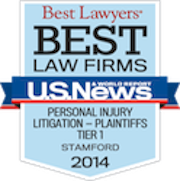 At Adelman Hirsch & Connors LLP, we prepare every personal injury or wrongful death case in order to take it to trial. Our practice emphasizes early investigation to preserve evidence, engage forensic experts, and document the components of your personal injury claim. Even though we often settle our clients' claims on favorable terms, our trial preparation mindset is highly effective in getting our insurance defense opponents to deal with your claim fairly. Each of our three named partners serve on the Connecticut Board of Governors for the Connecticut Trial Lawyer's Association and are frequent lecturers to the organization. 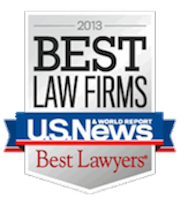 Robert B. Adelman has been listed among the Best Lawyers in America ® since 1993 in three practice areas: Plaintiff's Medical Malpractice Law; Plaintiffs Personal Injury Litigation and Plaintiff's Product Liability Litigation, and is a past President of the Connecticut Trial Lawyers Association. He is a frequent lecturer to professional audiences on such topics as evidence, personal injury damages, medical negligence, and product liability law. Joram Hirsch has lectured extensively on the proof of claims involving traumatic brain injury cases, closed head injuries, medical malpractice, premises liability claims, and special problems in auto insurance litigation. Mary Ann Connors has lectured extensively on topics such as Negotiation and Mediation, personal injury damages, premises liability as well as other topics. Our other lawyers, Kimberly Andrade and Etan Hirsch, are all trial attorneys who are assuming leadership positions in the Connecticut personal injury bar, including service on CTLA and Connecticut Bar Association executive committees. We represent clients on a contingent fee basis. In other words, you owe no attorney's fee unless we obtain a settlement or verdict for you. For a free consultation about our approach to client service in your situation, contact us in Bridgeport, Danbury or Middletown. * AV, BV, and CV are registered certification marks of Reed Elsevier Properties, Inc., used in accordance with the Martindale-Hubbell certification procedures, standards, and policies. Martindale-Hubbell is the facilitator of a peer review rating process. Ratings reflect the confidential opinions of members of the Bar and the judiciary. Martindale-Hubbell Ratings evaluate two categories - legal ability and general ethical standards.